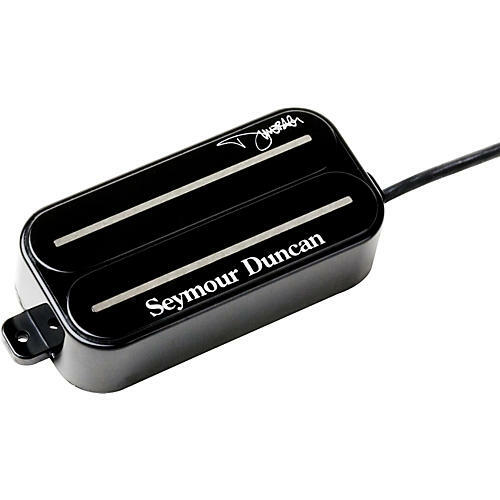 The Seymour Duncan SH-13 Dimebucker is an electric guitar pickup that helps you make your own metal massacre tone. It uses a powerful ceramic magnet coupled with stainless steel blades to generate a take-no-prisoners attitude. The secret to Dime's crunch is the small amount of metal mass in the core of the pickup. This allows both high D.C. resistance and a high resonant peak. The result: a high-output, aggressive humbucker with lots of treble bite and clarity, combined with punchy bass response and exceptional dynamics. The SH13 Dimebucker is perfect for hard rock and heavy metal.